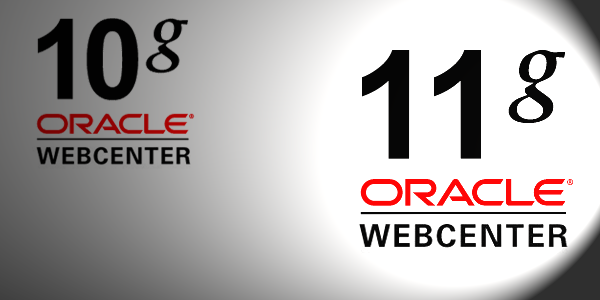 FREE 2-Hour knowledge sharing session on the differences between WebCenter 10g and 11g. TEAM always strives to be a thought leader in the WebCenter community; offering blogs, videos, and how-to’s to inform our partners, customers, and community members alike. We would like to extend a special opportunity to our current and potential customers for a free knowledge sharing session to learn the differences between WebCenter 10g and WebCenter 11g. This 2-hour session would be personal, on-premise or held remotely, and free of charge. Act now and learn what 11g can bring. If you are interested in this personalized knowledge sharing session or would like to talk to TEAM about any other opportunities, please contact us! This entry was posted on Thursday, July 18th, 2013 at 10:07 am and is filed under Oracle, WebCenter Content. You can follow any responses to this entry through the RSS 2.0 feed. You can leave a response, or trackback from your own site.